Often when I sit down at my desk to prepare for a big interview, write an outline for a speaking engagement, or work on a new article, I hear whispers of self-doubt swirl through my mind. Before I even begin, the fear can start to get to me. Who are you to deserve this opportunity? How many of you have heard those exact words echo through your mind—maybe after a promotion, or after an invitation, or after being asked to pioneer a new project? Imposter syndrome was first named by a pair of clinical psychologists in the 1970s, who identified the near-universal experience of feeling like a fraud, feeling like an accidental high-achiever, and feeling unworthy in the face of your own accomplishments. When success arrives at our doorstep, we convince ourselves that it was meant for someone else—because there’s no way that we deserve it. We’re too inadequate, too incompetent, too small. We’ve all been there, right? We’ve all experienced self-doubt. We’ve all been crippled by insecurities and paralyzed by fear. But the irony is that we believe we’re the only ones. We fall for the lie that everyone else is confident, worthy, and deserving. And that’s when we start to listen to the damaging voice in our head: I’m the only fraud in the room. The truth is, we all have an inner critic, a voice that makes us question our worth and our experience. This voice tells us the same, worn-out story: you’re not good enough. And, ironically, this voice is often triggered by external approval, opportunities, or compliments. These positive experiences unearth our buried insecurities, and spin us into a whirlwind of self-doubt. I see this scenario play out in my clients’ lives all the time. One day, they’re telling me that they have been asked to speak a prestigious event, photographed a campagihn or asked to spearhead the next team project. And, the next day, they’re telling me that maybe it’s not the right fit, and maybe they should back out, and maybe it’s not meant for them. Too many times, I’ve experienced this same swinging pendulum of emotions—in one moment, fiercely grateful for new opportunities, and in the next moment, completely trapped by the triggered voice of the inner critic. But thankfully, through all of my years of self work, I’ve learned how to meet imposter syndrome head-on and move through it with mindfulness and intention. That doesn’t mean it doesn’t rear its ugly head every now and again, but I am able to come back to reality real quickly and get my self in a different state of mind. The mind of someone who knows not only are the capable to doing what they are being asked, but it is their responsibility to do so. We al have talents and skills and we are doing a disservice to ourselves and the other we can help if we don’t let them shine. So, now, when imposter syndrome shows up for my clients, I encourage them sit with it. Don’t try to drown the feeling or shove it into your gut. Instead, take long, deep breaths and bring your awareness to your physical body. Once your body begins to relax, bring intention to your thoughts. Visualize your accomplishments,, and the faces of people whose lives have impacted through your work. Remind yourself that it is not only your right, but also your obligation to speak out and show up—so that your healing can serve others. Trace your way back through the work you have done to arrive at a place where you can be of great help and inspiration to others. “Our deepest fear is not that we are inadequate. Our deepest fear is that we are powerful beyond measure. It is our light, not our darkness that most frightens us. We ask ourselves, 'Who am I to be brilliant, gorgeous, talented, fabulous?' Actually, who are you not to be? You are a child of God. Your playing small does not serve the world"
Usually, this moment of intentionality is enough to bring you back into a positive headspace and get you back into action mode. But for the days when imposter syndrome’s grip is especially strong, I’ve developed a series of practices that help to quiet the voice of the critic. Next time you’re battling self-doubt, I encourage you to implement one or more of these practices—and always remember: you’re in charge of your feelings, and you’re always free to recalibrate and reclaim control. 1. Stack the positives. Reframe your inner story by consciously naming your past accomplishments, achievements, and successes. Claim your areas of brilliance and speak your strengths aloud. By focusing on these positives, you take your attention away from the weaknesses and imperfections that your inner critic wants you to concentrate on. 2. Be of service. Sometimes, when we’re spiraling into a negative headspace and feeling like a fraud, we’re hyper-focused on our ego. When you’re trapped in a self-centered mindset, serving others is a perfect way to recalibrate. Find a way to mentor a colleague, volunteer for a good cause, or help a needy friend. 3. Get into action. One of the fastest ways to tackle imposter syndrome? Start doing the work anyway. When you show up, in spite of your fear, you leave no room for self-doubt and you create space for others to do the same. 4. Remember that you’re not alone. Gently remind yourself that you’re not the only one experiencing feelings of self-doubt. Thousands of other brilliant, generous, successful humans encounter imposter syndrome every single day. And here’s some proof. 5. Practice meditation. A consistent meditation practices allows your brain, body, and nervous system to slow down. And, in that slowness, you create space. Space to choose your actions (instead of living in reaction mode). Space to notice and release your triggers (instead of spiralling into self-loathing). Space to observe a situation and act with intention (instead of falling into knee-jerk reaction patterns). I love active meditations, and I’ve included one of my favorite Kundalini meditations below. Start practicing this meditation for three minutes, and slowly increase your practice to eleven minutes. Pay attention to the details of the pose, and don't increase the time until you are practicing the post correctly. 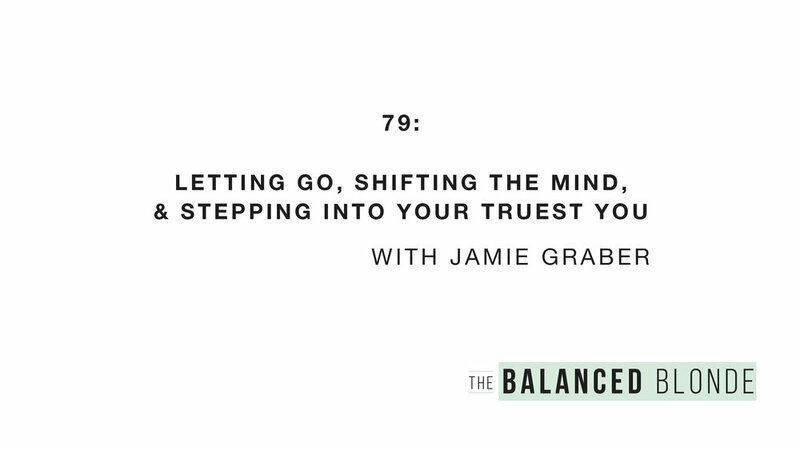 This meditation builds self-trust and groundedness. Use this GONG PLAYLIST in the background to cleanse self-doubt. Following instructions taken from KRI Teachers Training Manual. 2. Extend both arms straight forward, and parallel to the ground. Curl the fingers of the right hand into a fist. Extend the thumb straight up. Keep the elbow straight and move the fist to the center of the body. Move the left arm to the center and wrap the fingers of the left hand around the outside of the right hand's fist. Extend the left thumb straight up. Adjust the grip of the hands so that the thumbs can touch along their sides as they point up. 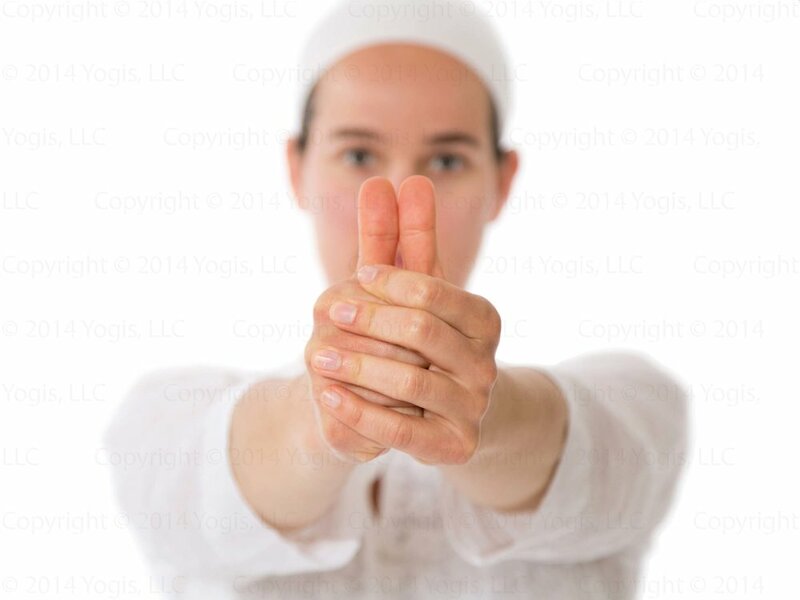 The tips of the thumbs will form a little "V" like a gunsight. 3. Focus the eyes on the thumbnails and through the "V". Look through the "V" like a gunsight, seeing far away and seeing the "V". 4. Inhale deeply and fill the lungs for 5 seconds. Exhale completely and empty the lungs for 5 seconds. Then suspend the breath out as you stay still for 15 seconds. 5. Continue this breath cycle.